Over the past 20 years spending time in southwestern Colorado, I have driven by RRL ranch, the most beautiful ranch in the world owned by the American designer guru Ralph Lauren. As if this designer hadn’t inspired me enough, I quickly became inspired by of all things- his tipi! RRL stands for Ralph and Ricky Lauren. Their ranch has miles of fence line along the road, but no house in sight. One day about 15 years ago there popped up a couple of really beautifully painted tipis out in the distance. Now, I think there are at least 4 large tipis visible from the main road to Telluride, just outside the town of Ridgeway, Colorado. Architectural Digest has twice, that I know of, done stories and pictorials of Ralph’s property and his amazing tipis. Hence, came my inspiration to have a “Ralph Lauren” tipi, a la SheShe tipi on my new river property just northeast of Ralph’s ranch on the Uncompahgre River. 2013 was to be my 20 year wedding anniversary and I just could not think of anything to give my husband. If he wants something, he goes and buys it, leaving those who love him and want to give him a nice gift, without any idea what to give him. After some research, I found that Ralph Lauren’s tipis were actually made at Colorado Yurt Company, right up the road in Montrose, Colorado. They make the premiere luxury tipis, yurts and tents in the world. After a few months and some thought, I put in a custom order for a 22′ tipi. I collaborated with their artist to come up with the tipi paint design. We started with my favorite Colorado colors of turquoise, orange, yellow and brown to compliment. I wanted figures to represent my husband and me, with one of our hobbies. We came up with a fly rod with a fish on the end for Norman and a turquoise squash blossom and handbag for me. So Cute!!! On the back side of the tipi I added a Longhorn skull to represent Norman;s beloved University of Texas Longhorns! While the tipi was being constructed, I had the opportunity to carefully select a special place to pitch our tipi. 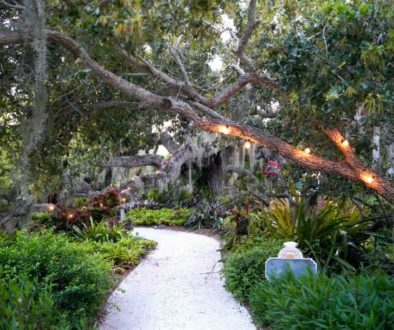 It sits beautifully on a little island where visitors can see it as they enter our property. It faces the south with views of the pond, the river, and our new home. As of this writing, I have not decorated the interior, but look forward to sharing that with you at a later date. Please stay tuned. P.S. BTW my husband, Norman loved his anniversary gift. We can’t wait to try it out!!!!!! Share the post "OUR VERY OWN TIPI"